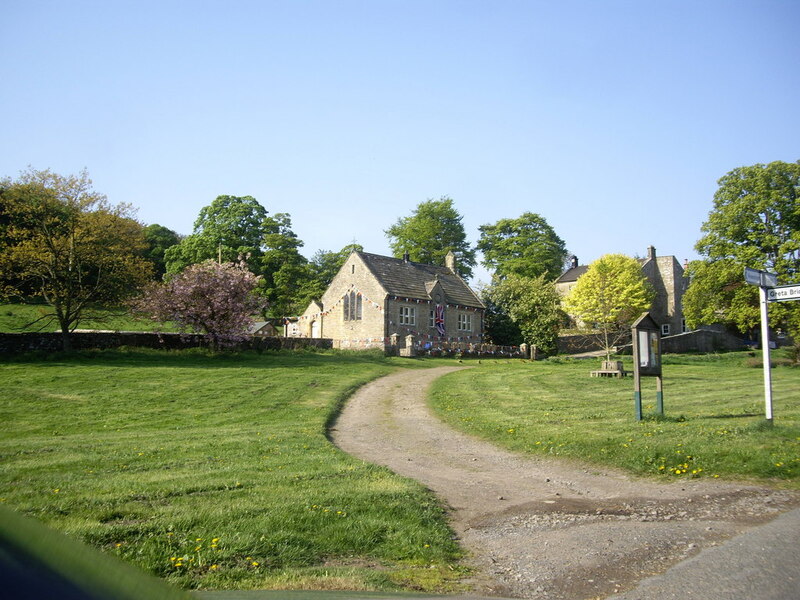 This walk starts in the very attractive village of Barningham and indeed this area has other fine villages such as Newsham a little to the east and further on in the same direction Ravensworth. However in my view Barningham comes top of the list with its lovely green and pleasant mixture of 17th Century and 18th Century houses. This is a long village and parking is easy. The name is derived from Saxon sources and means “village of Beorns people”. The title of the walk has nothing to do with animals. The word here means a person who was an individual pedlar or trader licensed (badged) in the 17th Century to carry corn from an important market to sell at smaller markets or in the case of this walk to smaller communities. There are several tracks or lanes in the country where the name can be found and this walk involves one of them called Badger Way. A stoop is an old form of waymark which often involved a horizontal section and occurs in several place names such as Busby Stoop near Northallerton. They are normally found on moors and in particular the Pennines. They were erected in the early 18th Century following legislation and were the responsibility of Justices of the Peace. For further information on these and similar terms consult Ernest Hinchcliffe’s fine book published by Cicerone entitled “The Packhorse Bridges of England” from where this information was taken. This walk shows itself well on the map and is good underfoot for most of its length. It is best done in late August or early September when the heather is in full bloom and smelling great and equally pick a fine clear day as the views are very good. Head west through the village passing the old fountain and use the path on the right of the street. Further up it is separated from the road by gardens having gone through a gate. At the end of this section pick up the road and continue uphill past the end of the village and at a bend in the road to the right take the track heading straight ahead over the cattle grid. Now go through the gate in the wall on your left which is the access to Park House. Just before Park House is a lake with plenty of reeds where there are normally ducks to be seen. Go through the farm and before the last building turn right up the track and through a gate. Now head south-west alongside the wall and through a further metal gate. At a second gate go through to the other side of the wall. You may prefer the nearby stile which is fairly high. The OS map here indicates Gathaw Stoop but I have never been able to find it. Head alongside the wall on your right for about 300 yards and then head due south aiming for an old dilapidated railway waggon. A solitary swallow has nested here for several years making its annual return from Africa. Behind is a small plantation which has been planted by the Milbank Estate to provide habitat for black grouse. 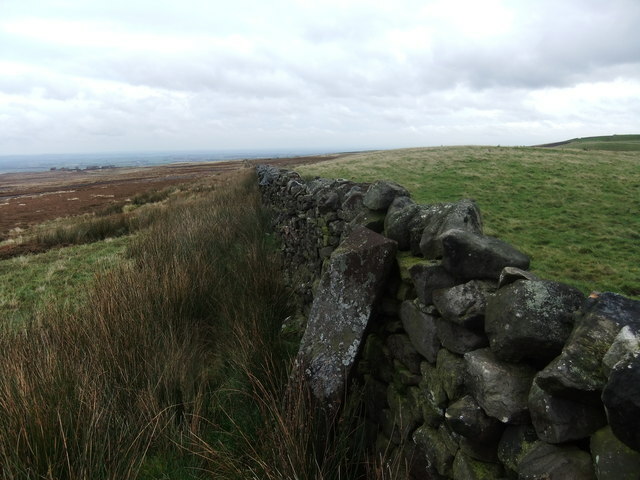 The wall on your left which you are following is the County Boundary with Yorkshire on the other side. Continue following the wall on a clear track for just over a mile on a steady but easy climb. It is incredible how extensive are the views for so little effort. Barningham Moor has a tremendous amount of ancient hut circles, cup and ring stones and an early settlement. There is much on the web on these matters and additional information is easily found. After about a mile you come to a crossing of tracks which are waymarked. At this spot continue ahead for about 400 yards and the Badger Stone is on the wall on your left. It is triangular in cross section with one face onto the wall and on the other faces are the words Badger Stoop. It would be good to see this fine waymark slightly restored to make the writing more legible. Looking west from here there are distant views of Mickle Fell and Little Fell. The latter was walked recently on the one day of the year that there is access provided by the M.O.D and is a fine walk on Warcop Range. The walk is supervised by the Staff of the North Pennines AONB – keep an eye on their publications to see the date. On the day we did it there were several completers of the English 2000 ft hills. 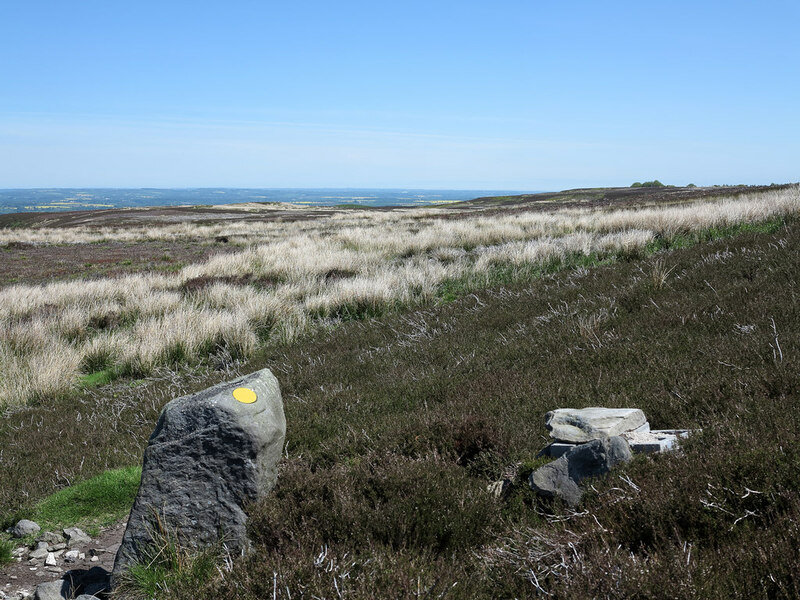 A further half mile on a fainter track brings you to the trig point on the top of How Tallon which is situated on what appears to be a tumulus. Continue alongside the wall avoiding several wet spots for about half a mile to the end of the wall passing some shooting butts to a t-junction of paths. Here turn left through the gate and enjoy the view to the south. The stream heading south is Arndale Springs which eventually joins the Swale near Marske. The track gradually turns north and just around Frankinshaw Well take the gate on your right. This is not waymarked but there is a faint grassy path heading east which joins the tarmac at GR 069067 . Heading north on the tarmac you now have two choices. After about 400 yards you can take the footpath on the left passing Byers Hill Farm or continue on the road past the farm access road and after a further 100 yards take the bridleway on the left.The latter is my preferred route as it does not involve an up and down! Continue west on limestone grassland to reach the gate at GR 067078. You were at this spot on the way to the Badger Stoop earlier in the walk but now head a little to the left on a clear bridleway onto Barningham Moor. After half a mile this track heads north and for the first time on this walk there is no clear track. It is necessary to head west through heather and bracken and if you are on the right route you will find some concrete waymarks about a foot high. The problem is that they are very difficult to see ahead particularly when the vegetation has grown. Osmaril Gill ahead on your left is particularly good for ancient remains with a stone circle at its head (not passed on this walk). The plateau underneath was the site of a bronze age settlement which is still visible. Keep going west passing the gill and avoiding the bracken and at GR 049083 you will pick up a track coming from Stang Forest at Black Hill Gate. Look here for a large stone with cup and ring markings. Now head north-east along a further plateau. This is a sharp turn to the north and below you is a wall and you will soon pick up a clearish path which gradually descends to a point near to the corner of the wall. Further east is a new lake with an island which has recently been created and is not on all maps, You cross over a small stream marked on the map as aqueduct. After a short rise you will see Haythwaite farm in front of you. Head either directly to the farm or follow the wall to reach a road (not tarmac) which leads to East Hope. It is now an easy two and a half miles along the farm access road passing by Haythwaite back along the quiet road to Barningham. The road is traffic free. There are two extensions which can be added to the walk. The first adding one extra mile is to go down Gill Beck to the north by using the path wrongly marked on the map as a bridleway just to the west of where you join the Hope road but here there has been extensive planting and this route involves a river crossing near Hurst Hill and the bridleway (?) through the wood is clearly a footpath with stiles only for access. Nevertheless this wood is beautiful and hopefully more work can be carried out here to make this accessible. An easier extension of one mile is to leave the road at Bragg House and follow the track to Ladysmith Plantation and then Low Lane eventually coming into Barningham near to the pub and Barningham Hall which is the home of Lord Milbank. He is very active on bird protection and increasing habitat and a member of the RSPB Council. When you walk this area you will observe many sites where his work is evident and it certainly enhances the general area. This entry was posted on Thursday, February 27th, 2014 at 11:38 am	and is filed under Other. This area was targeted in 98 for the largest wind farm in England and the largest in Europe in the next valley Weardale. Read the account of the long fight to save the area.